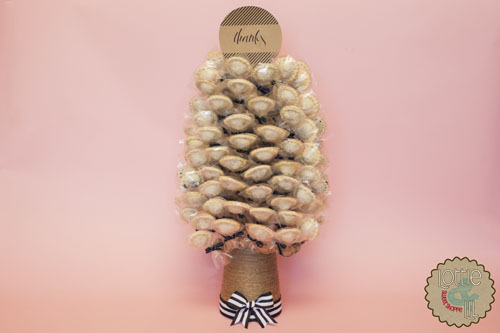 The bride’s favorite movie is Big Fish and pie pop wedding guest favours with custom “Made In the Town of Spectre” tags allowed her to share a little detail about herself with her guests. 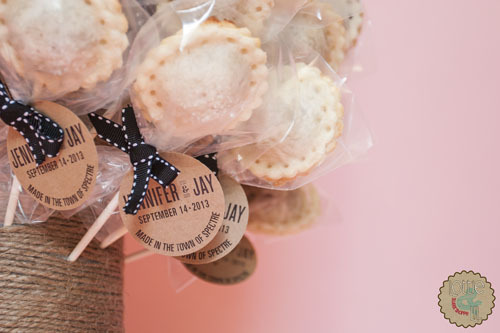 The wedding elements of black, white and kraft paper were also able to be incorporated for a cohesive wedding look. This entry was posted on Monday, April 7th, 2014 at 9:59 am	and is filed under Wedding Pops.